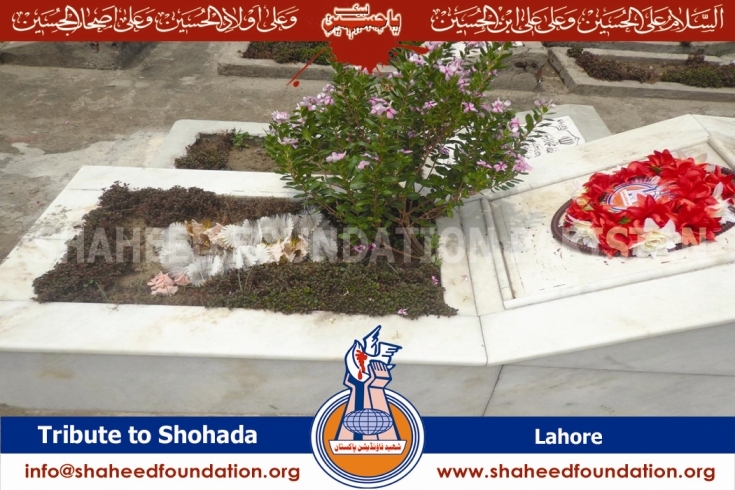 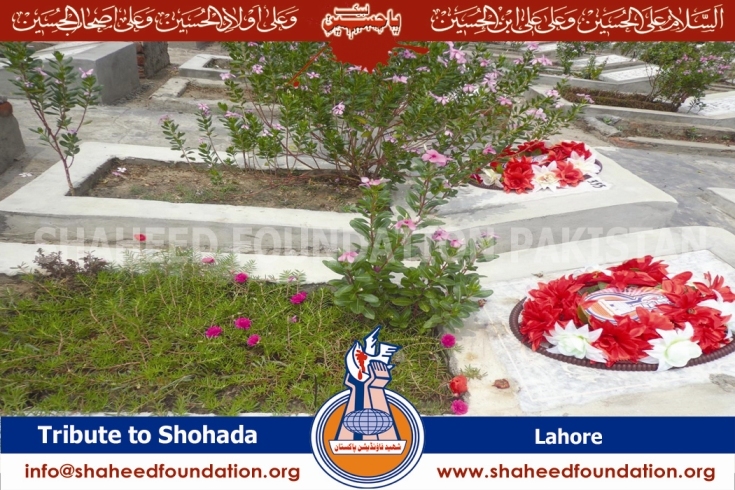 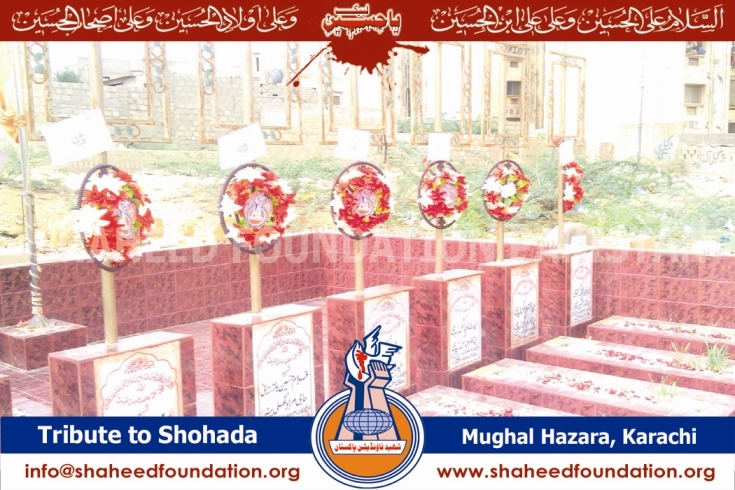 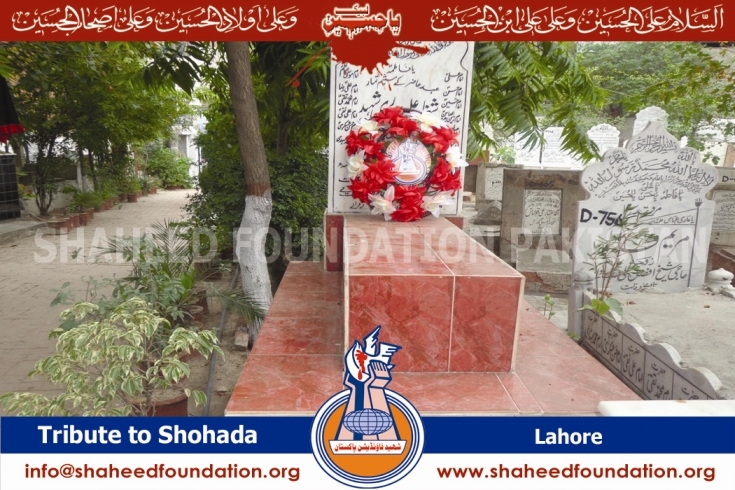 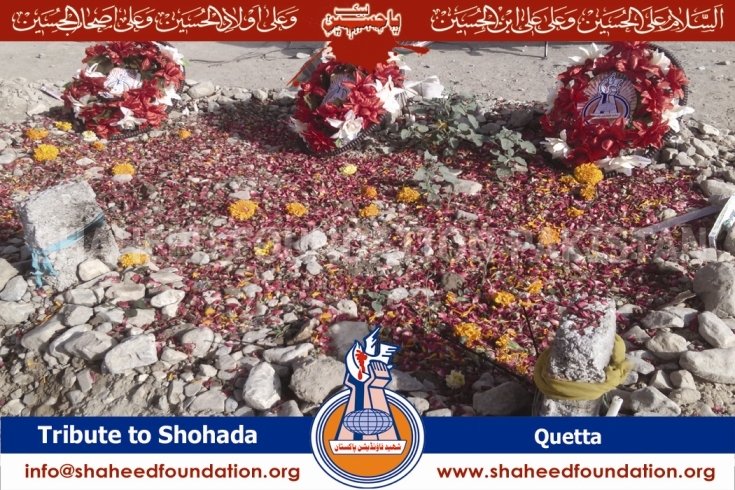 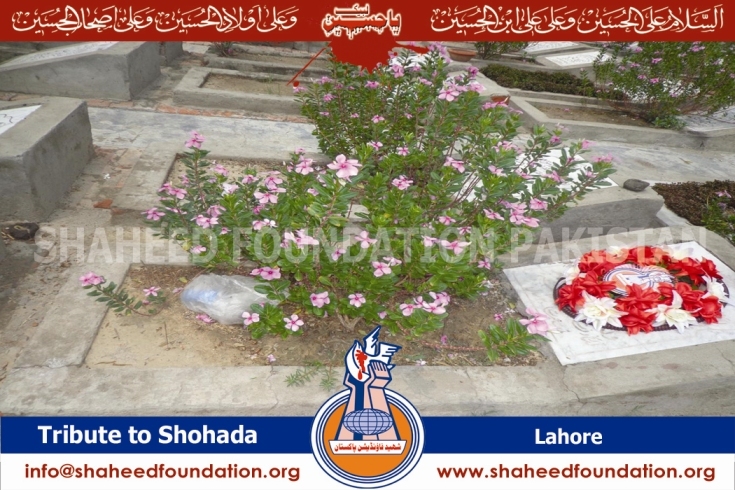 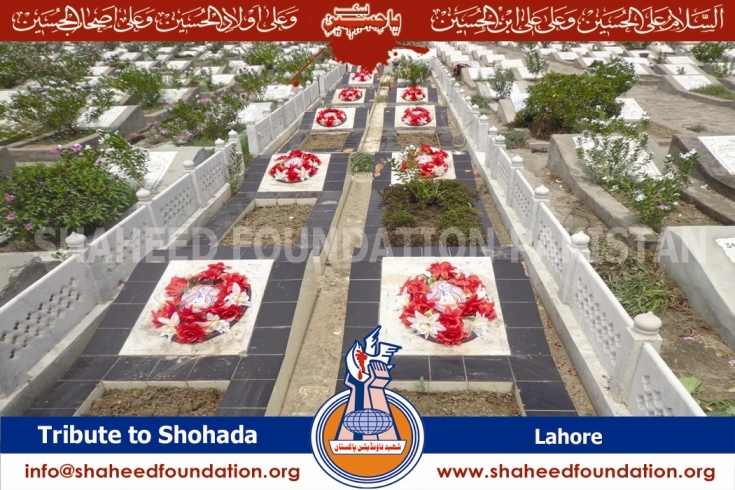 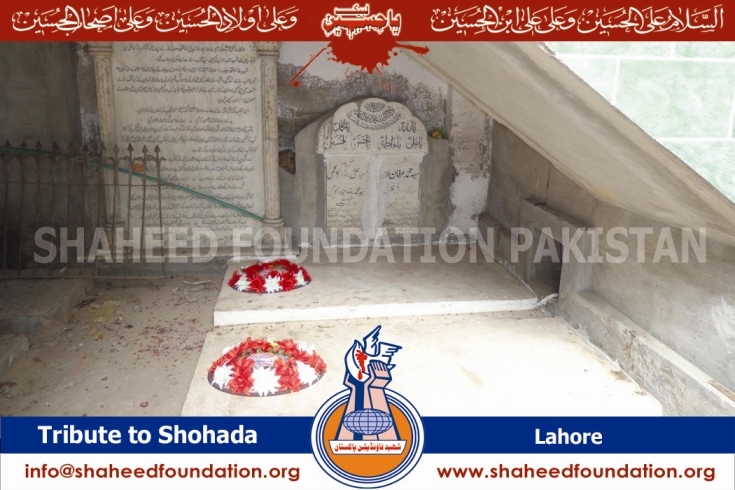 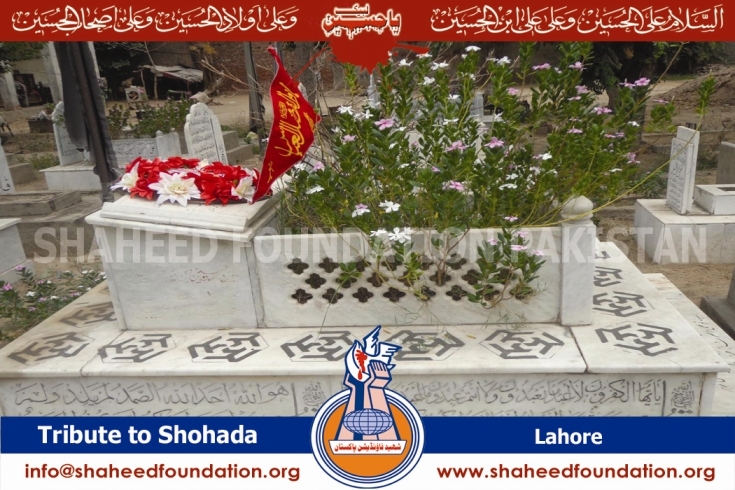 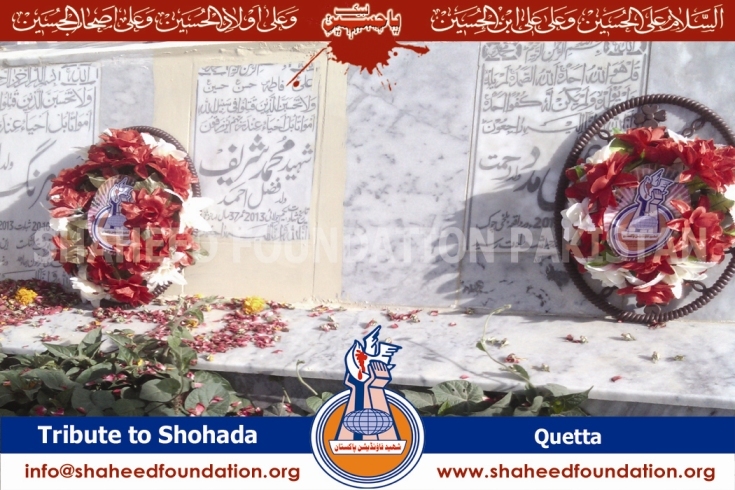 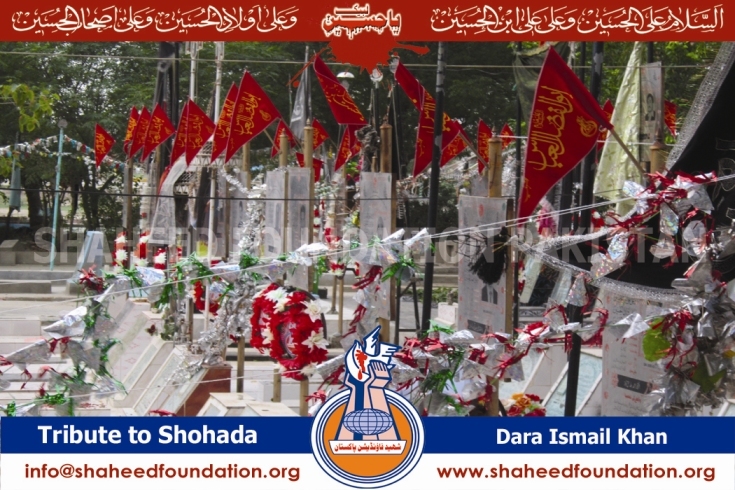 Like previous years Shaheed Foundation Pakistan visited various graveyarda all over Pakistan to pay tribute and salutations to the Shohada-e-Islam who scarified their lives for Islam and for the awakening of Muslim Ummah. 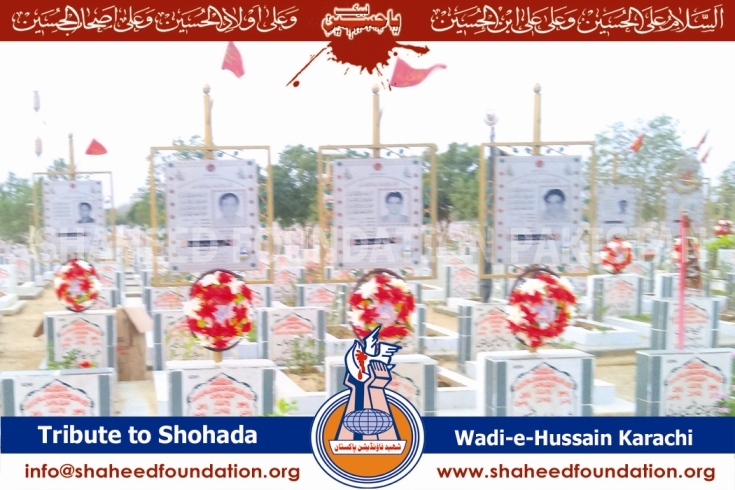 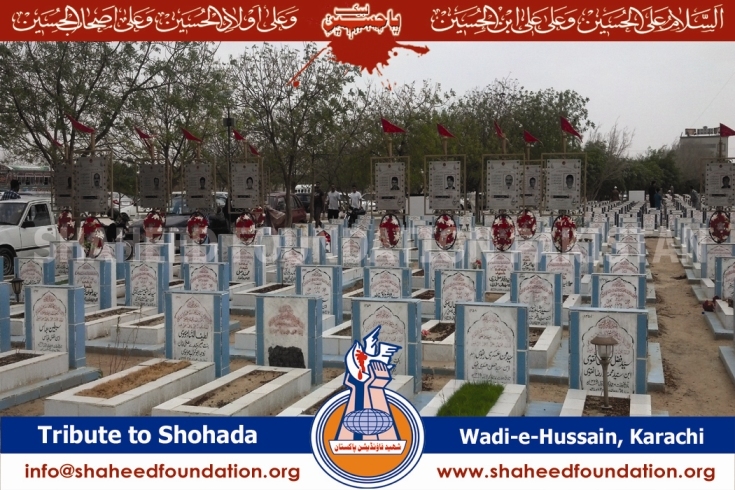 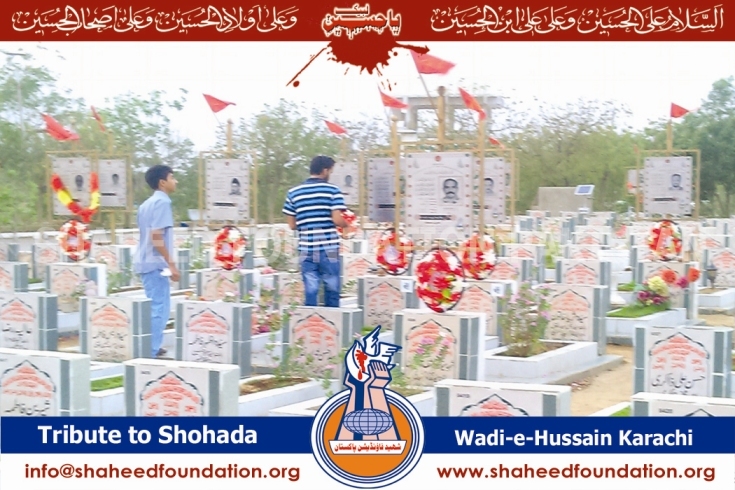 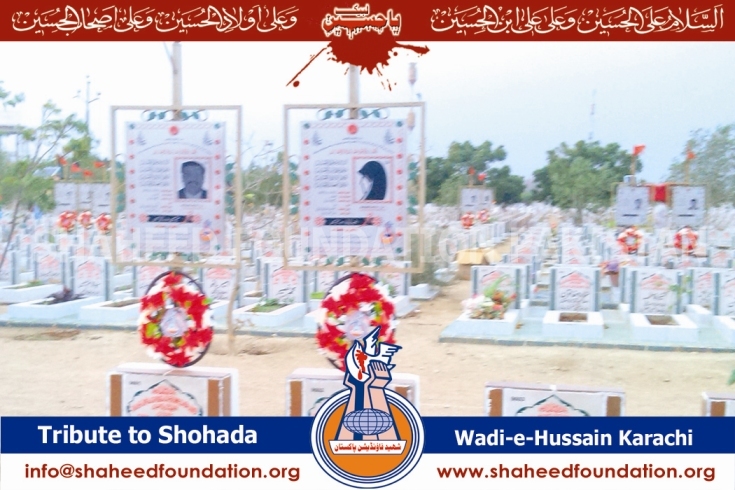 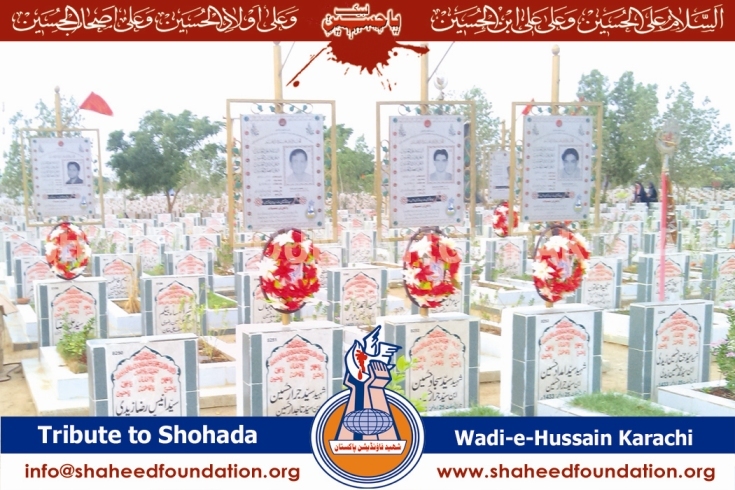 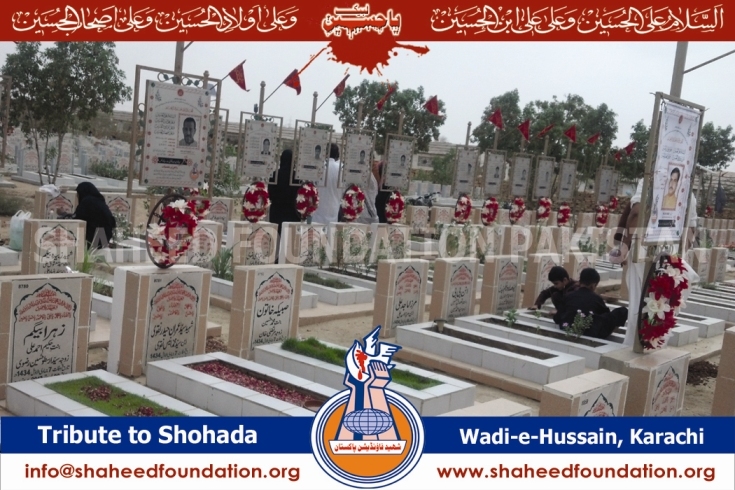 Shohada who are our great benefactors must not be forgotten and the activity to decorate the graves of Shohada has been conceived keeping in mind both the aspects. 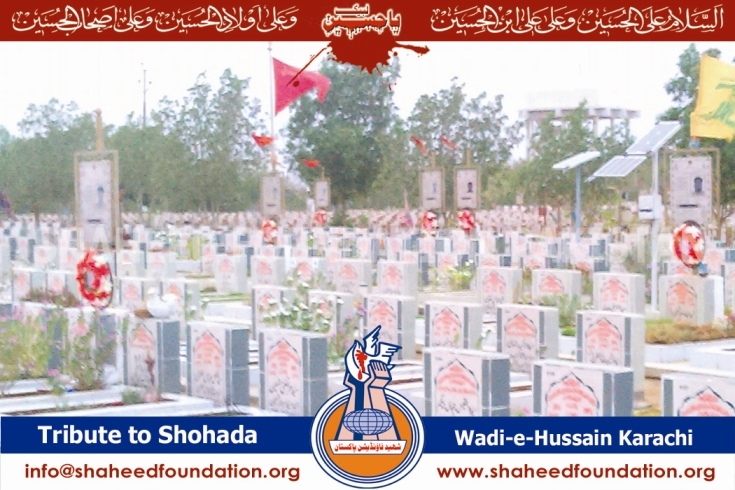 Primarily it is our right and duty to do tawwassul with these shohada this way and secondly its also important because most families visit their martyr grave on this occassion and when they see the graves of their martyrs appearing very different, prominent and decorated they feel happy and increases our collective pride in the great sacrifices of Shohada-e-Azeez. 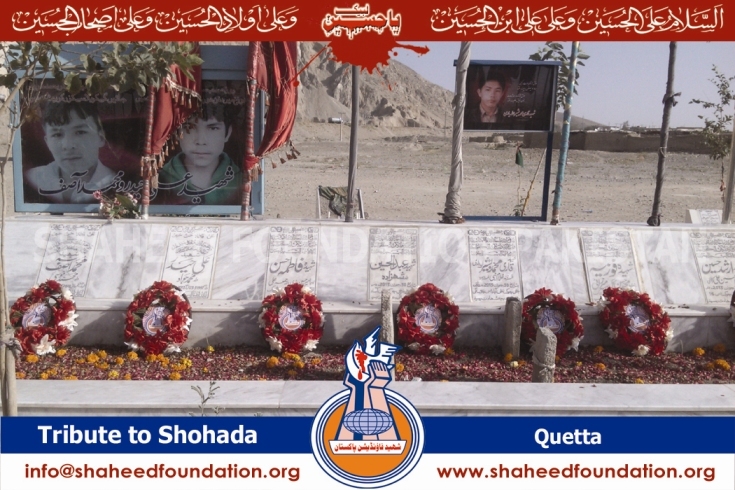 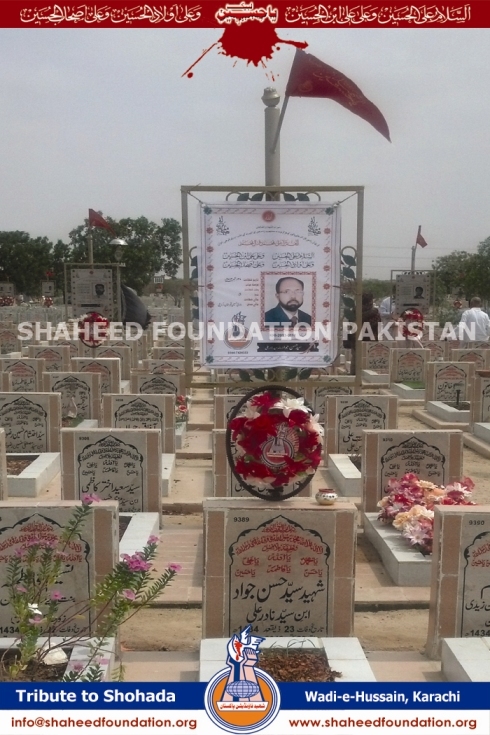 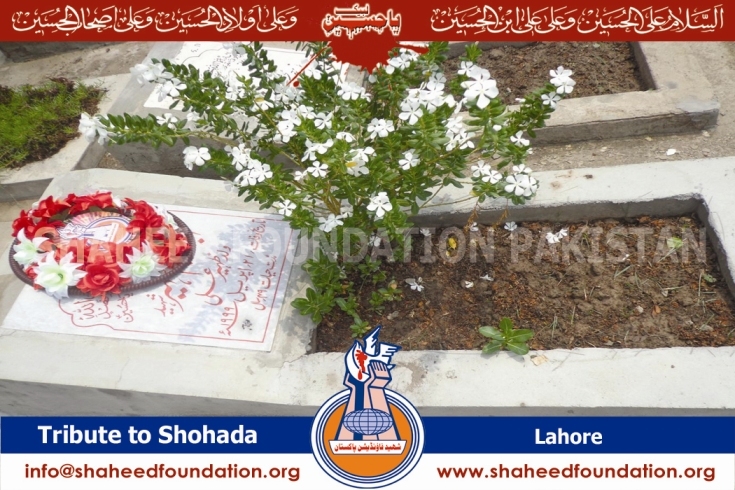 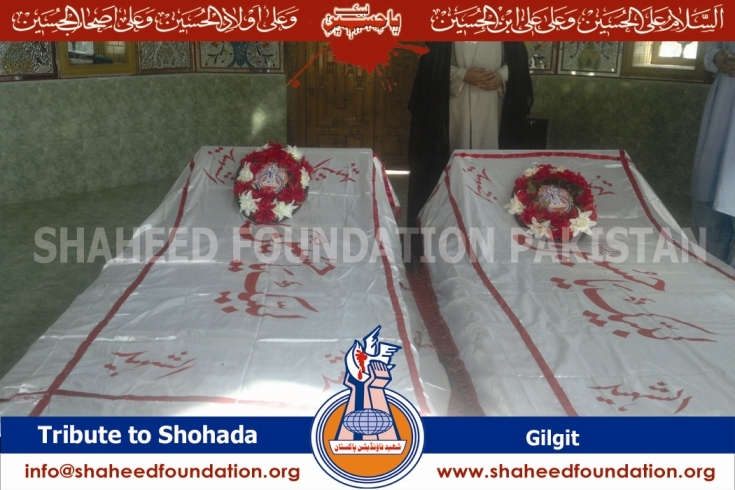 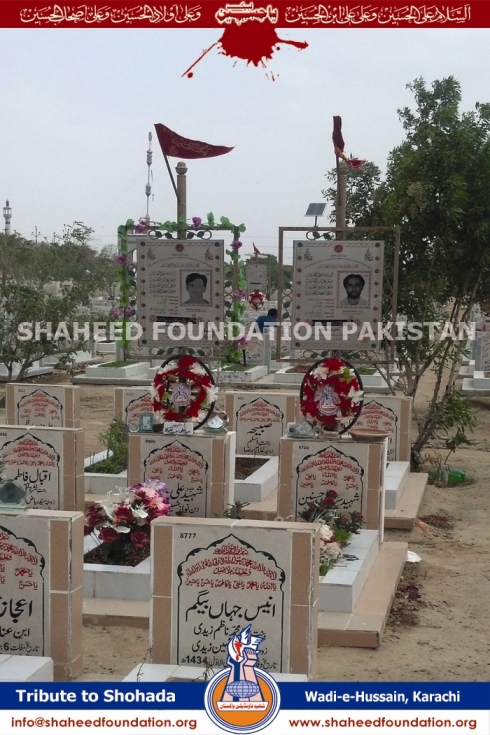 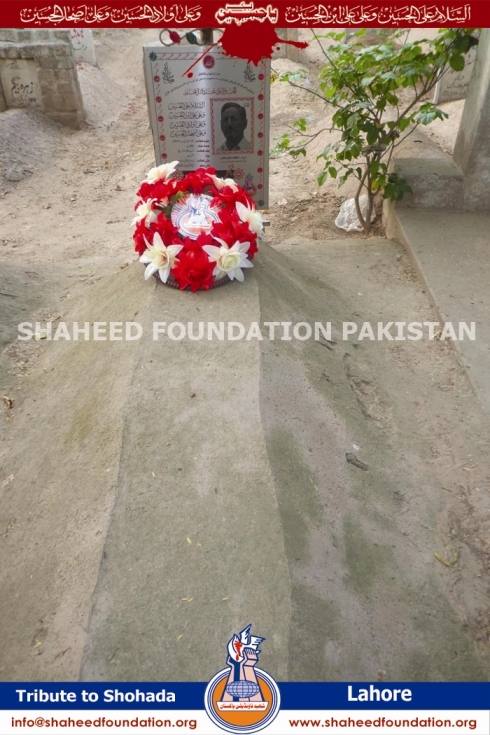 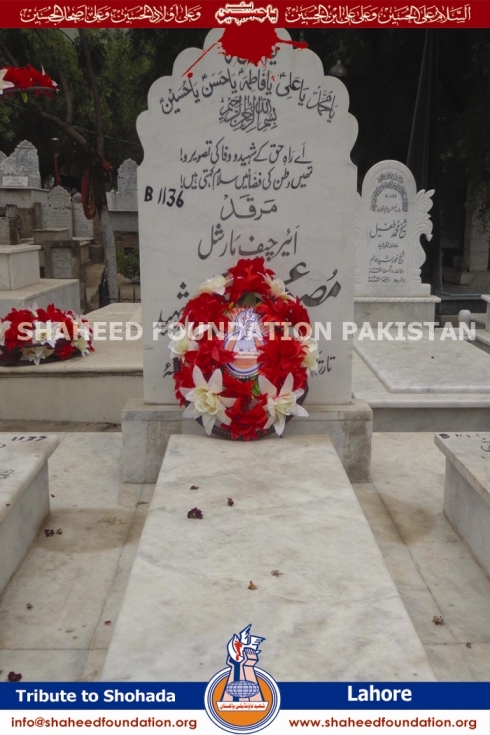 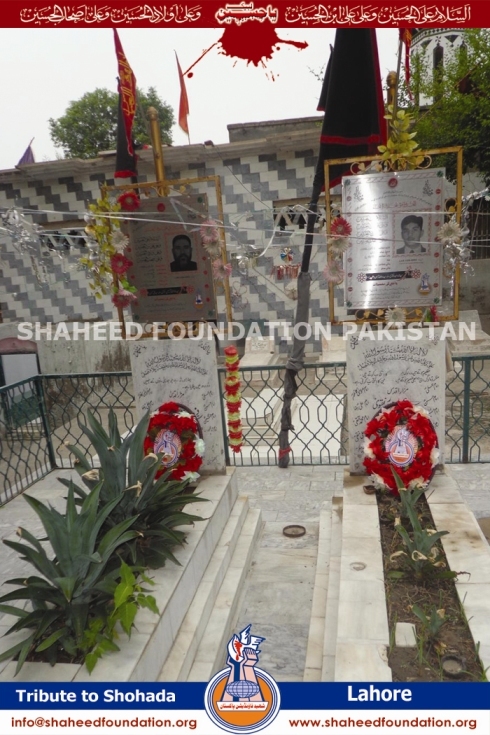 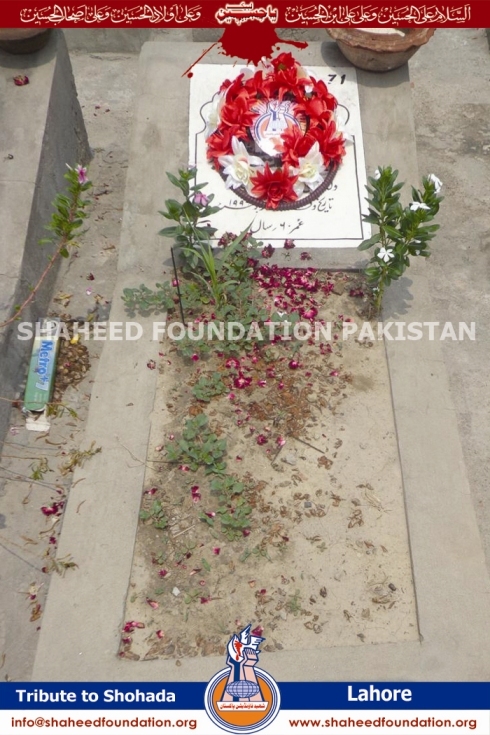 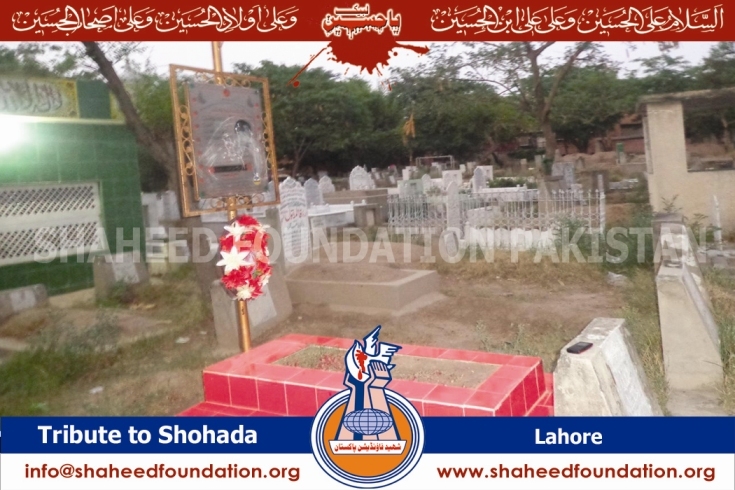 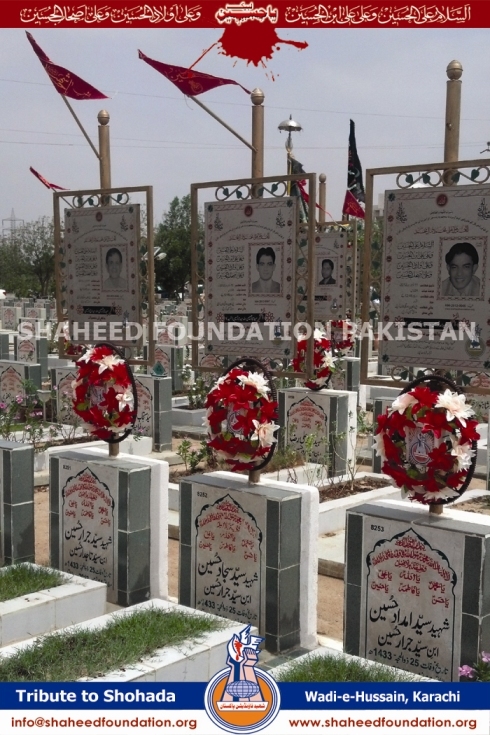 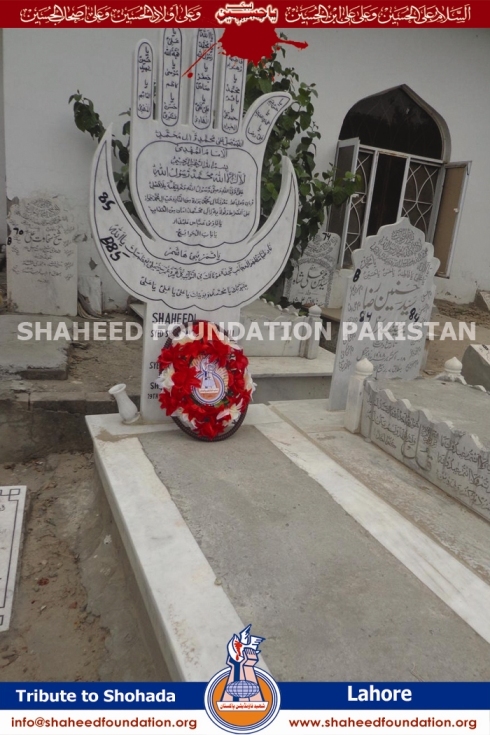 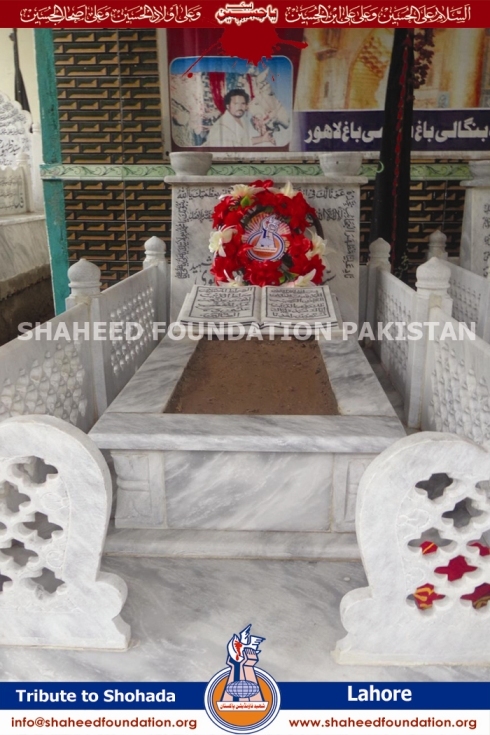 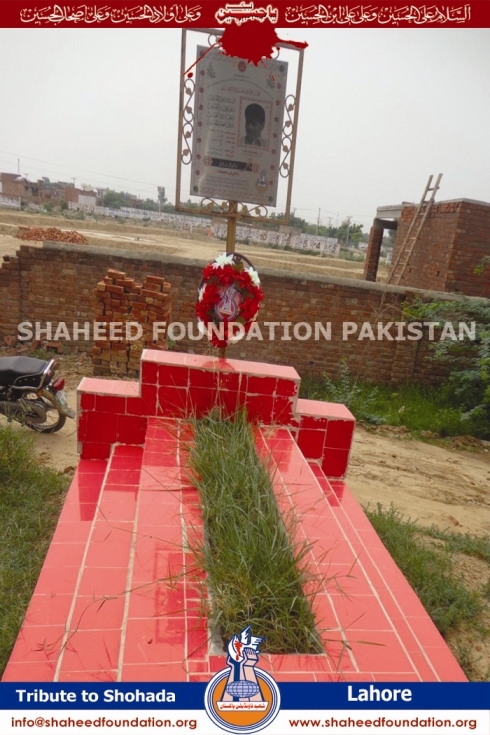 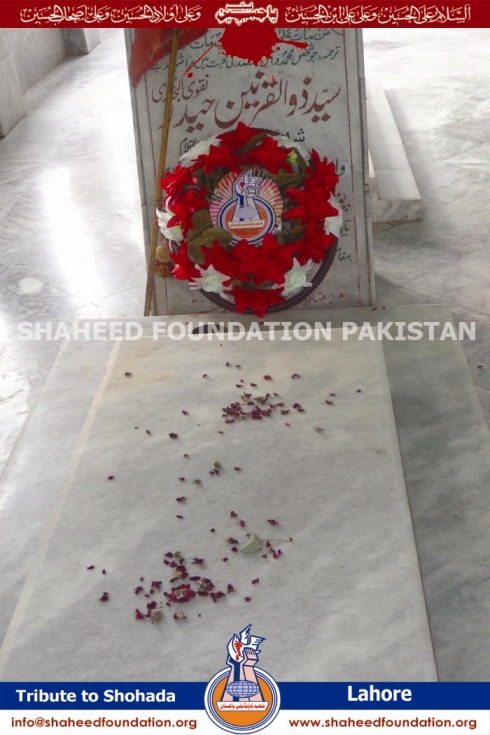 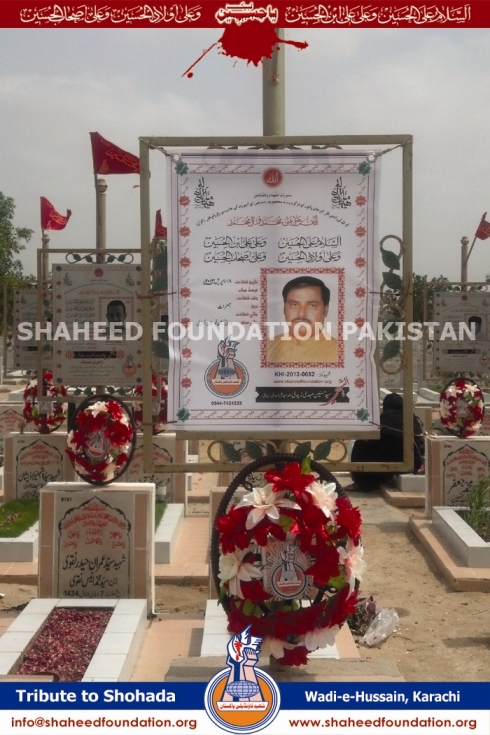 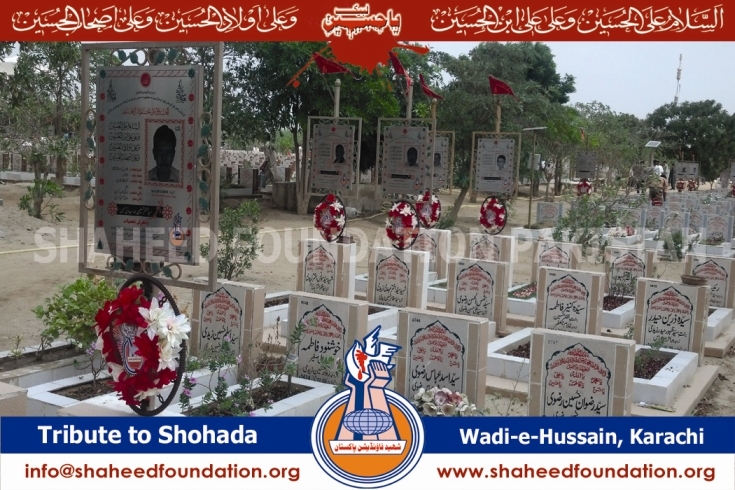 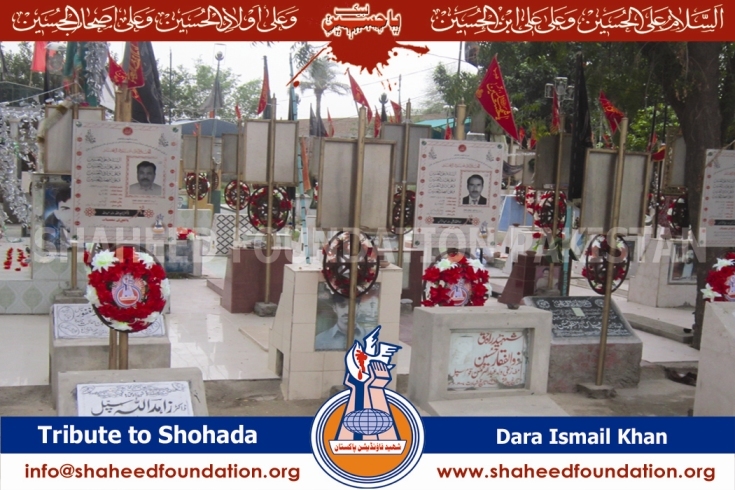 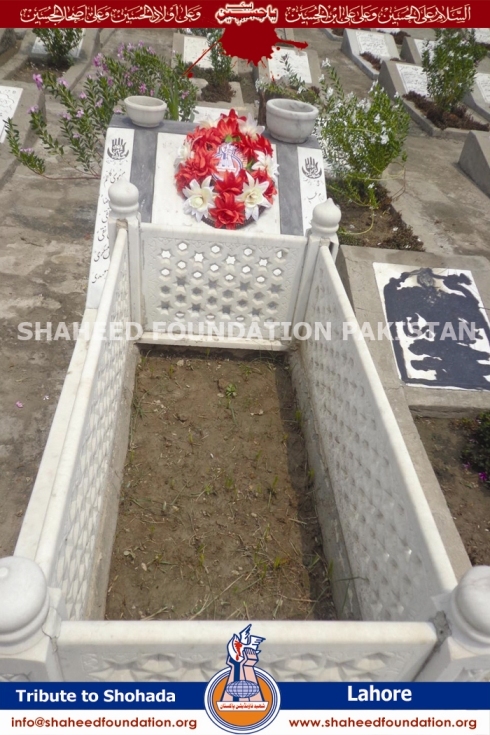 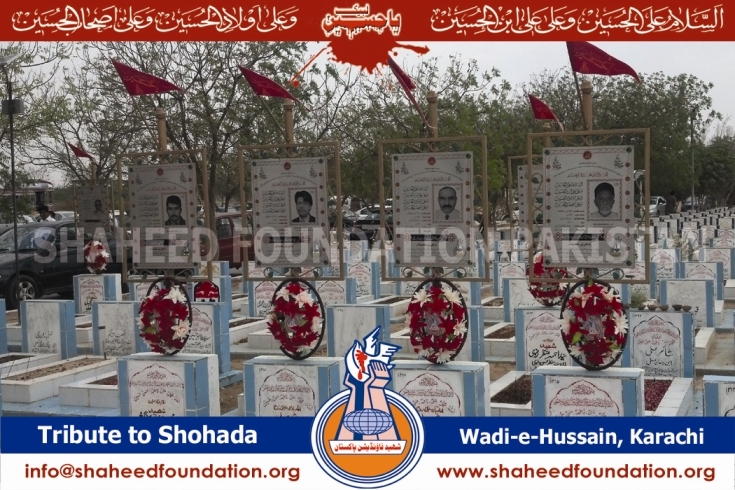 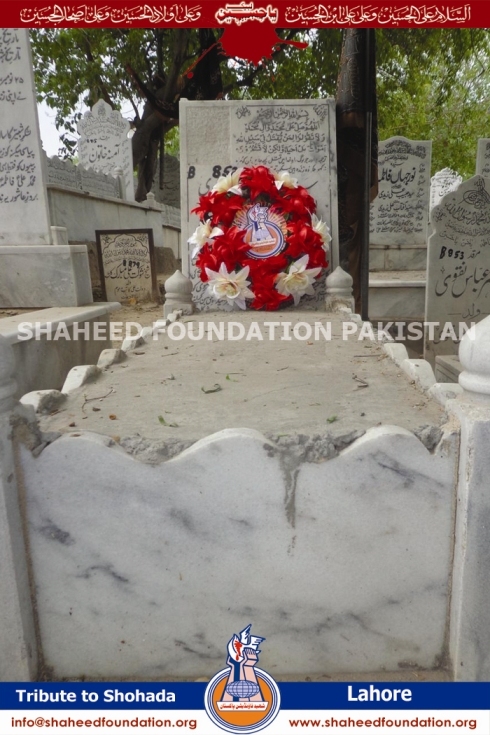 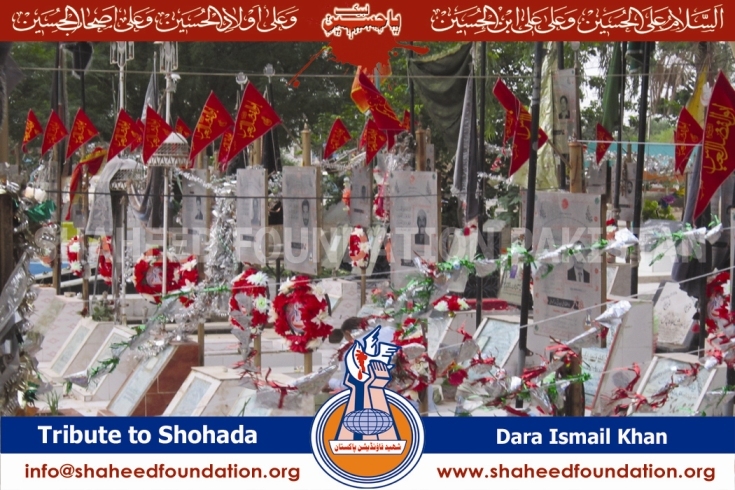 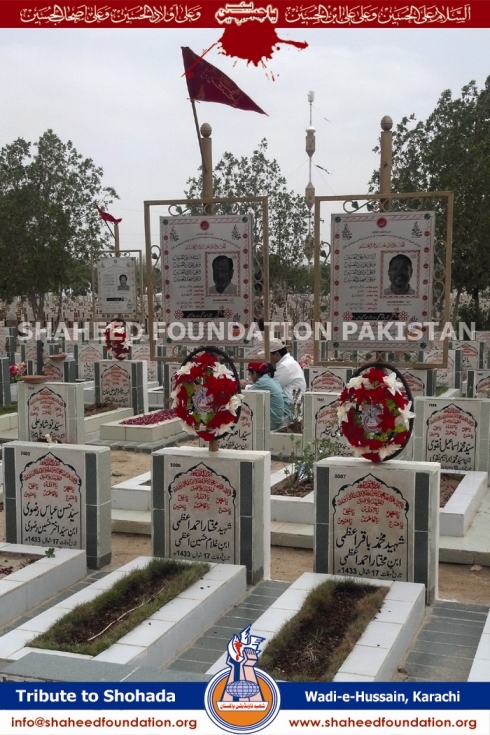 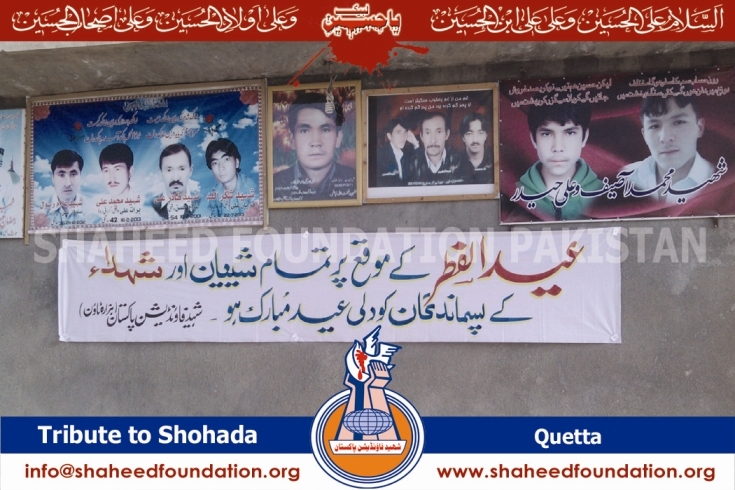 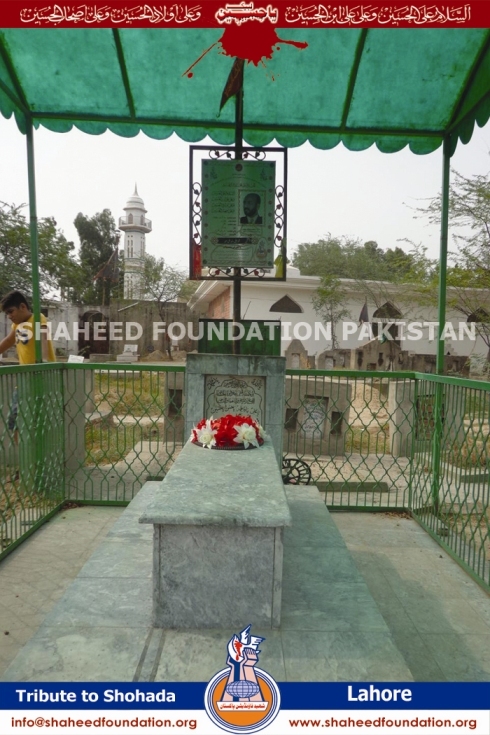 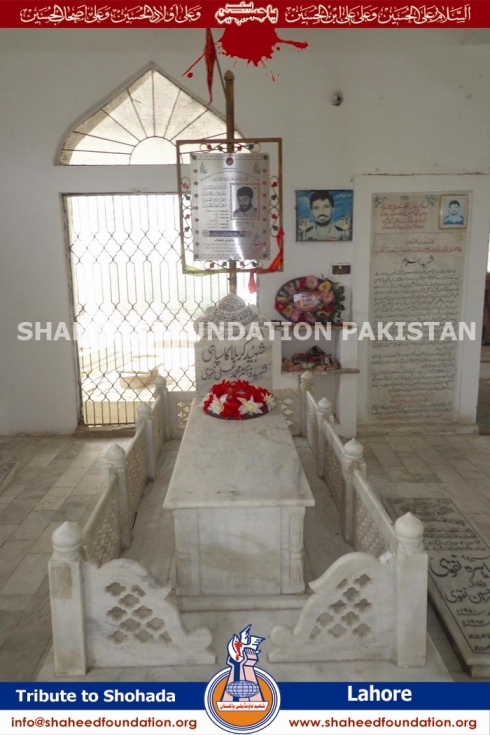 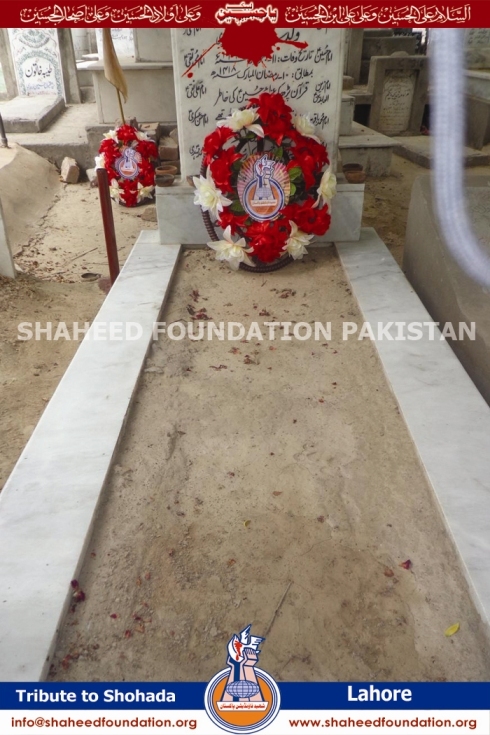 It is also important to note that under the graveyard project earlier undertaken most of the graves of Shohada are being quickly affixed with a proper stand which will carry a metallic sheet containing the details about Shaheed, the incident and an embossed photograph of shaheed. 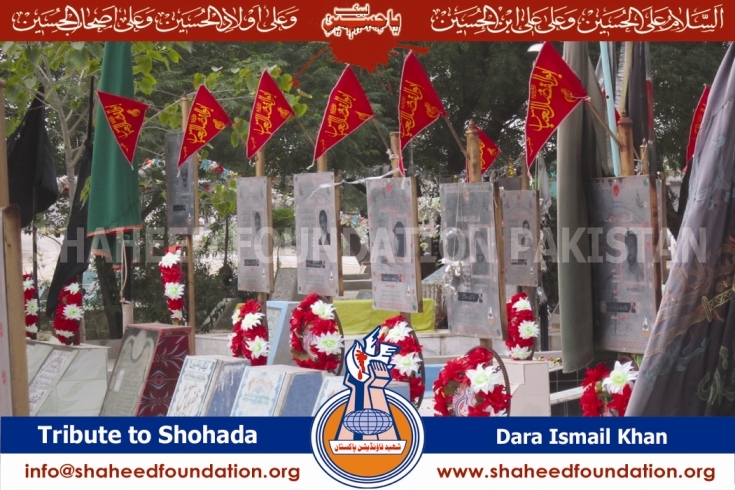 The sheet is decorated further with strips inscribed with Ya Sayyida Zainab [SA] and Ya Abul Fazl Al Abbas [AS] and a red coloured flag Labbayk Ya Hussain. 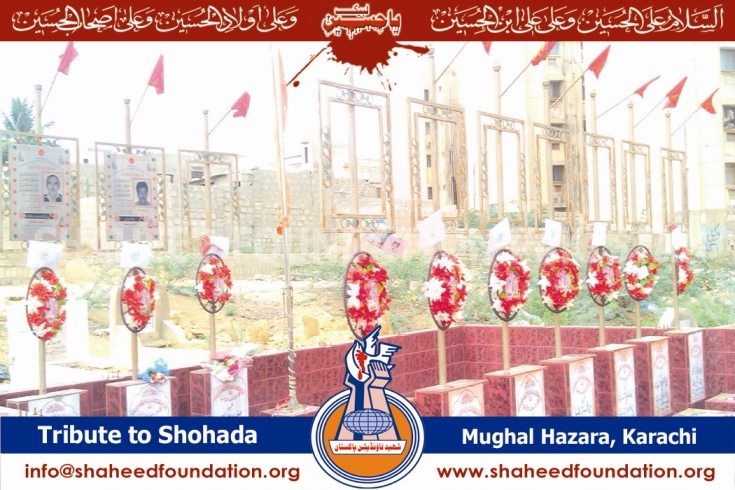 The red colour signifies that the martyrs are the mazlumeen whose revenge has not been taken and traditions have it that when Imam-e-Zamana [a.t.f.s] will re-appear he will take revenge of Imam Hussain [AS] and Shohada-e-Karbala [AS]. 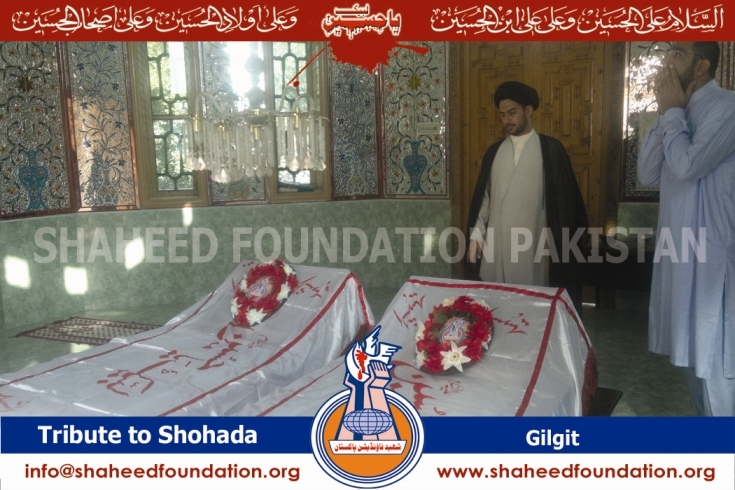 Inshaallah the blood of these mazlumeen will also produce waves of lasting positive changes in the society and will prepare the ground for early re-appearance of Imam. 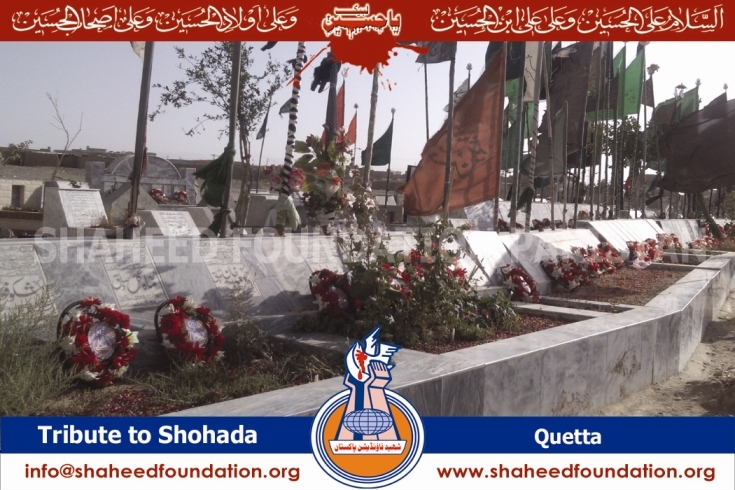 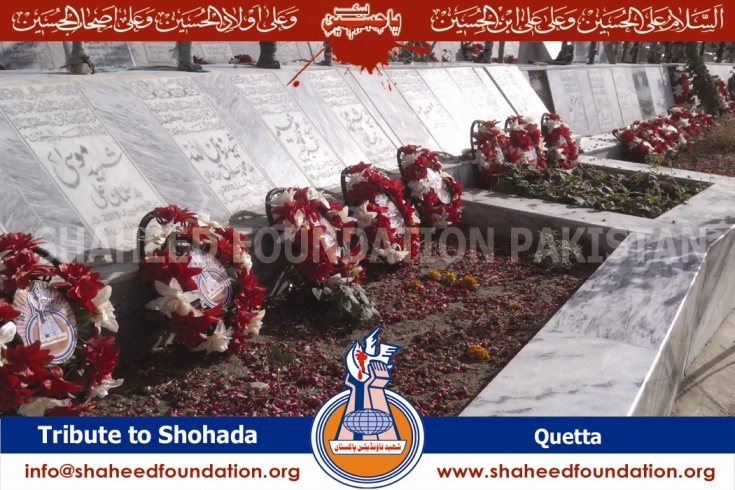 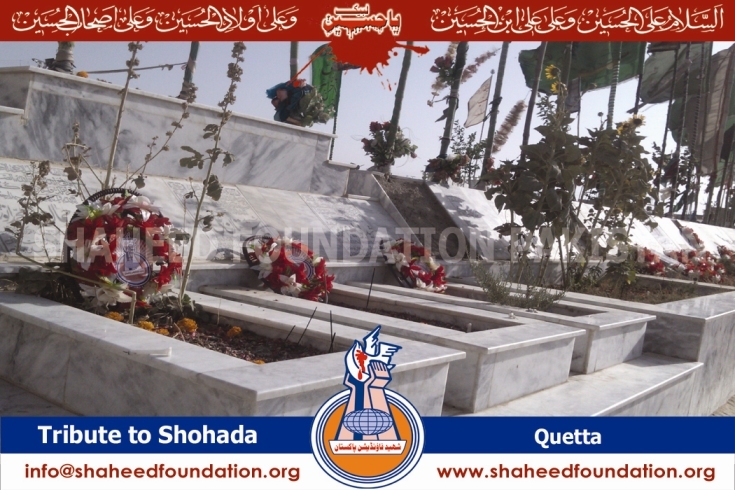 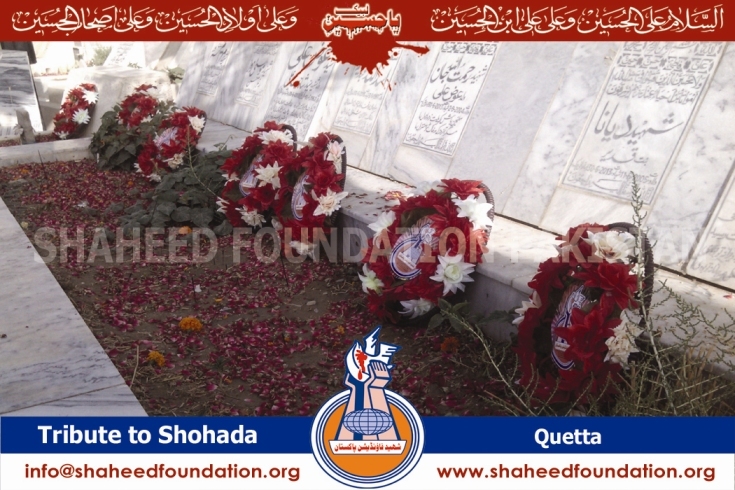 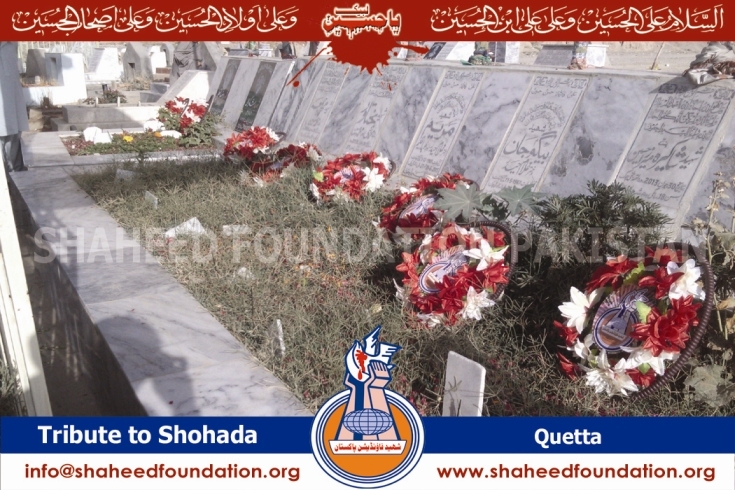 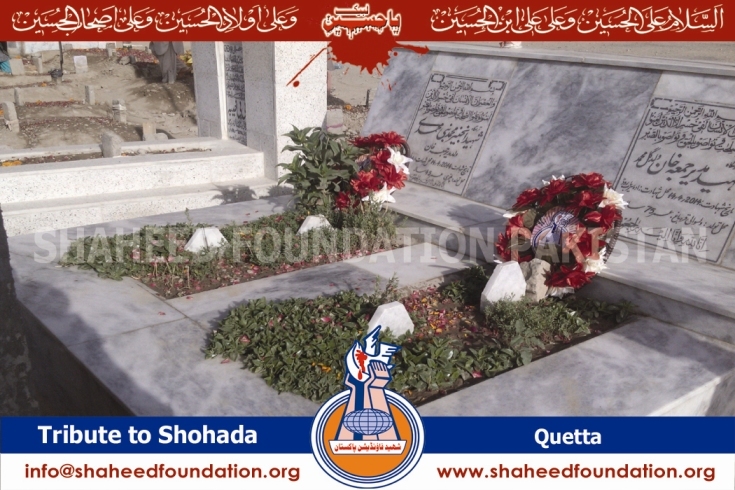 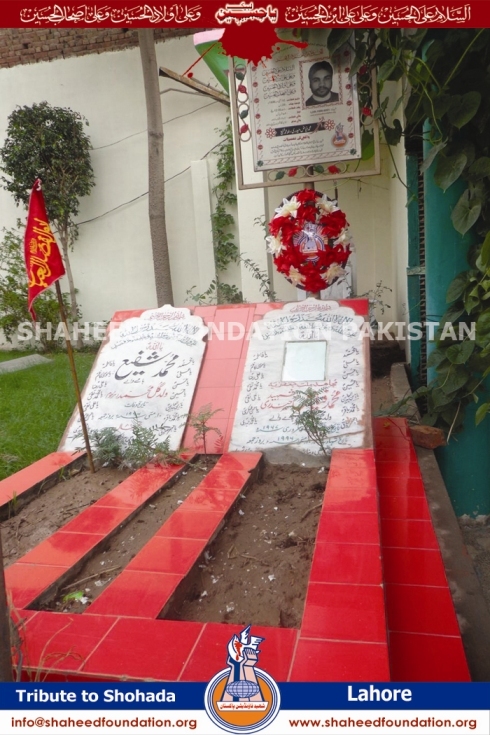 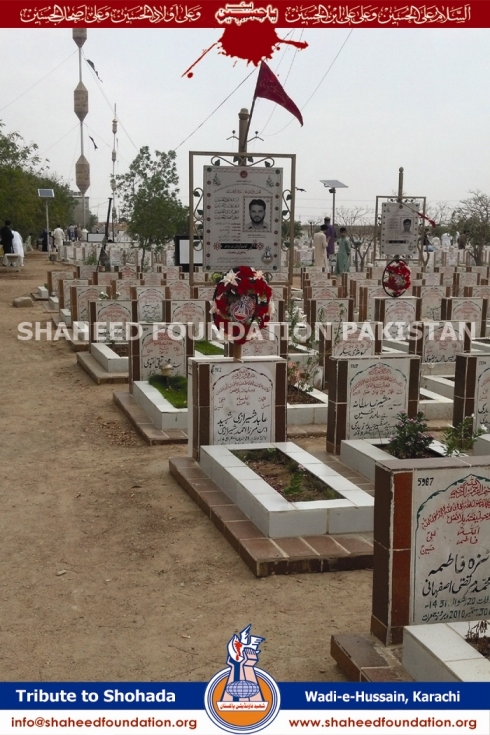 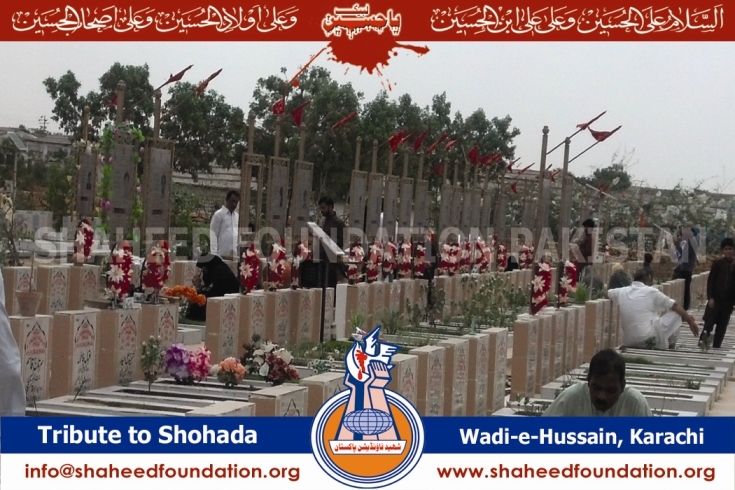 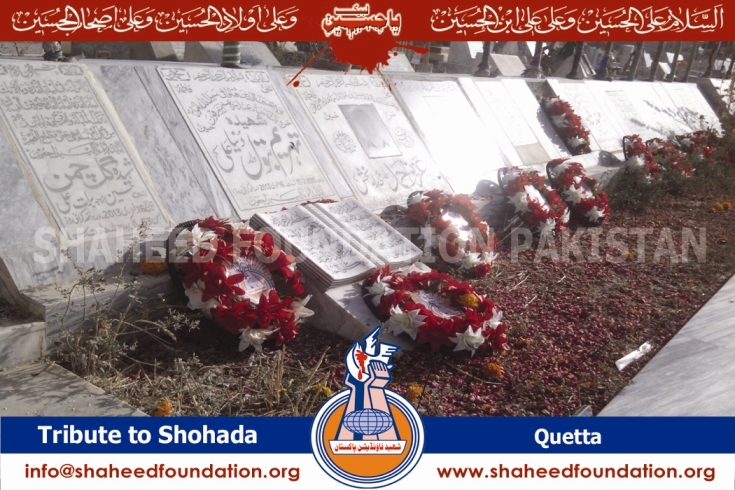 SFP officials visited diffrent graveyards and laid floral wreaths on Shohada graves. 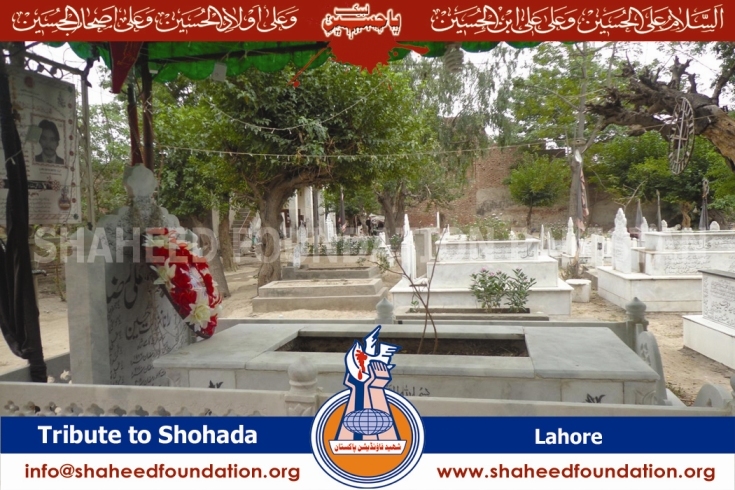 We deeply request momineen of millat as well as Ulema-e-Karaam and other notables to please visit graveyards near your locality and pay tribute to Shohada by visiting them .Lets derive energy and conviction by visiting these nobles.